Make Maps and Apps Available Across Your Organisation. Learn to share geographic content, making it accessible to everyone who needs it, when and how they want to access it. 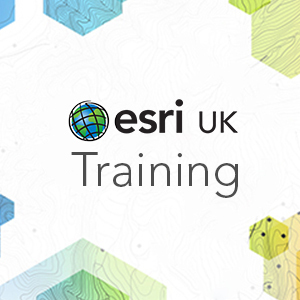 This course teaches how to publish your organisation's authoritative GIS data, maps, and tools as services that can be discovered on your organisation's public or private ArcGIS portal, easily accessed from desktop and online applications, and featured in web and mobile apps. ArcMap is used to complete course exercises. Please note: This course has been updated. It used to be called ArcGIS 4 – Deploying your Geographic Data using ArcGIS Online and ArcGIS for Server. If you've attended this course previously, please do not re-attend. Determine which sharing option is appropriate for your needs. Author and publish map, feature, geoprocessing, and image services. Share GIS resources as stand-alone services and in web maps and apps. Sharing GIS Resources: An overview of the Publishing workflow; Sharing options; ArcGIS Online and Creating and sharing a web map on ArcGIS Online. Authoring operational content: What is operational content? Understand ArcGIS services; Authoring and sharing content using ArcGIS for Desktop. Enable editing on the web: Types of editing applications; Publishing a feature service; Creating web editing applications using templates and viewers. Authoring basemap content: What makes suitable basemap content? Understand caching and tiling schemes. Sharing imagery: Compare map and image services; Author a mosaic dataset and share as an image service to ArcGIS Server; Register an image service to ArcGIS Online and Share a cached image service. Sharing analysis workflows: Model an analysis workflow using a geoprocessing service; Use ModelBuilder to create a geoprocessing model; Share model results as a geoprocessing service and Use a geoprocessing service in a web application. Final Project: Create a web application to share GIS content.